I’m Adina Marguerite and I’m a creative who lives to wander. 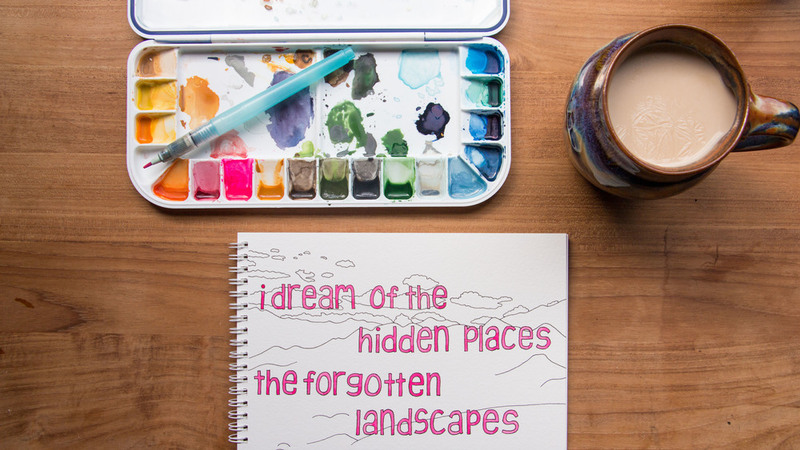 From watercolor illustrations to hand-drawn patterns, I create work inspired by my travels. On this site you'll find a log of my recent creative and travel pursuits, multimedia travel guides crafted from my own personal experiences, as well as a shop filled with original artwork, greeting cards, and more. Read more about me here and please do connect with me elsewhere on the web! Check Out My Handmade Travel Goods Line! Inspired by my travels, I create my own fabric designs based up on my illustrations and turn those colorful textiles into hand made accessories and travel related goods. All our products are personally tried and tested through camping excursions, public transit travel, and every day use. Each collection supports a non-profit cause doing good work in our world. Get information about new product launches & sales, great finds from my travels, and the down low on how I make things work behind the scenes delivered to your inbox. No worries, your info won't be shared with anyone else and you can expect to see no more than one to two emails per month from me - after all, I'm not that prolific!